Baja Surgery offers several options for weight loss surgery. One of the most well-known is gastric bypass, also referred to as Roux-en-Y. Designed to reduce the amount of food you are able to eat by cutting away a part of the stomach, gastric bypass is a permanent procedure that helps patients achieve and maintain weight loss goals. 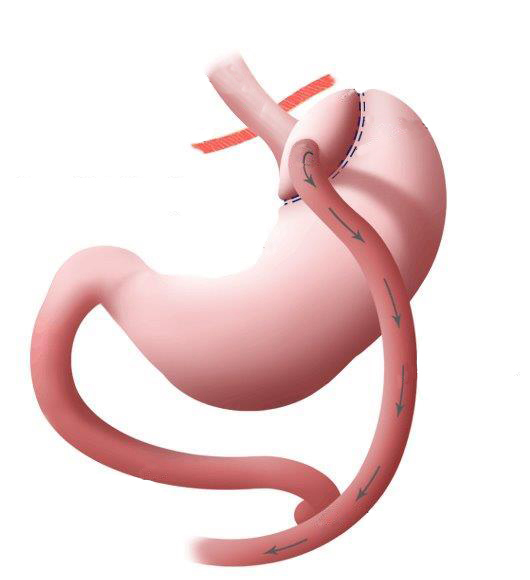 When gastric bypass is performed using the “open” approach, an incision is made in the abdomen extending from just below the sternum to an area slightly below the belly button. A stapling device is then used to create a tiny stomach pouch by partitioning the existing stomach, essentially changing its size and preventing too much food to be consumed. The “laparoscopic,” or minimally-invasive, approach follows the same guidelines as the “open surgery,” but is performed internally. Using five small keyhole-sized incisions, Dr. Platero relies on a camera that is inserted into one of the incisions to see inside the body, while using several small instruments inserted through the other incisions to perform the procedure.